July is the height of the travel season: Kids have the summer off from school, and the warm, sunny weather makes adults itch to get out of the office. Most cities and destinations are especially crowded during the summer, which can be frustrating, but there’s good reason for it: Cities come alive in summer; their residents spend more time outside, there are more events and festivals, and the lack of cold means there’s much more to do from day to day. From hiking in Yellowstone to spotting elephants on safari in Kenya, July is the perfect time to take a break from everyday life. 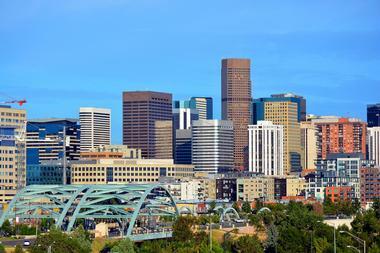 Denver, Colorado, is known as the Mile High City for its elevation of exactly 5,280 feet above sea level. Denver’s weather can get very hot, but due to the lack of humidity even high temperatures can feel very pleasant (so long as you remember to wear sunscreen! ), and on a nice summer day, visitors can enjoy a cold beer at one of the many craft breweries in the city, spend time in a paddleboat on the pond in Washington Park, or head out into the Rocky Mountains for an epic hike. Not far from Denver is Red Rocks Amphitheater, a stunning concert venue that is naturally formed from giant red rock formations, which hosts lots of amazing musicians throughout the season. Delft is a city in the western region of the Netherlands that is famous for producing the delicate blue and white painted pottery found all over the world. 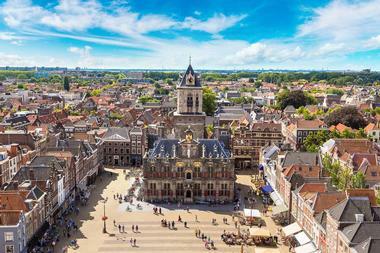 It has lots of historical architecture, like the Oude Kerk and the Nieuwe Kerk, and is famous for being the home of famous painter Johannes Vermeer. In the summer, this city becomes a charming place full of colorful flowers, cheery houseboats on the canals, and happy, friendly people. Delfse Hout, a park only about a 15-minute walk from the city center, is a great place to lay out in the sun on either the grass or the sand of the beach or go for a swim in the canal waters. 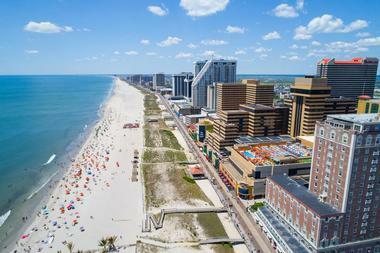 Atlantic City, New Jersey, is a place known for its massive beach, so July is the perfect month to lay out on the sand and read a book while catching some rays. The waves of the Atlantic Ocean are great for body boarding or just splashing around to cool off, and the 4-mile-long beach boardwalk is packed with shops, restaurants, and amusement park games. Off the main stretch of the boardwalk, there are even some piers with carnival rides. Atlantic City is also well known for its gaming industry, and if visitors need a break from the heat and humidity, a game of slots or blackjack in the air-conditioned casinos should do the trick. 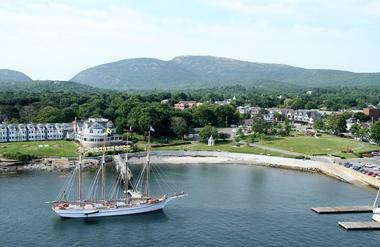 Maine can get pretty cold during the winter months, but in the summer, Bar Harbor is beautiful and green. Blissful summer days in Bar Harbor, a town on Mount Desert Island, can be spent taking a dip in the ocean and eating fresh lobster at one of Maine’s many seafood shacks and lobster pounds. Nature lovers can go for a hike in the shady woods of Acadia National Park for a peaceful day spent among the trees or trek to the top of Cadillac Mountain for scenic views of the town. History buffs will love the abundance of beautiful, scenic lighthouses like Egg Rock Lighthouse, Bass Harbor Head Lighthouse, or Baker Island Lighthouse, each of which are packed with fascinating history. In the heat of summertime, there’s nothing quite so refreshing as the creamy, sweet taste of ice cream. 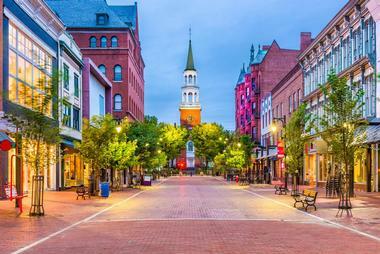 Whether it’s served in a bowl or a cone, ice cream is a perfect way to cool off and enjoy a sweet treat, and in Burlington, Vermont, that ice cream can be found at the original Ben and Jerry’s. Visitors can tour the nearby factory for a look at how the iconic ice cream is made and to sample some of their flavors, but that’s not all that Burlington has to offer. Farmers markets, vineyards, chocolateries, and delicious farm-to-table restaurants abound in Burlington, and guests will also love being able to splash and play in the waters of Lake Champlain or on the trails of Waterfront Park. Visiting Copenhagen in July means visiting a city full of colorful flowers, street festivals, and gorgeous nights. Taking a bike ride through the city’s streets is a great way to acquaint yourself with the area, and feeling that summer breeze while getting some exercise isn’t bad either. 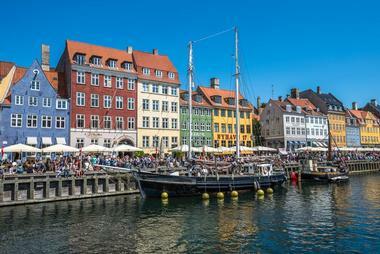 Visitors can also delight in the clean, cool water of Copenhagen’s harbor, which is popular with both tourists and locals as a swimming spot during the summer. Summer farmers’ markets mean fresh, local produce, handmade crafts and, in many cases, even a cool refreshing beer to enjoy on a hot summer’s day. The county of Devon is located in southwest England on a peninsula of lovely beaches, ancient cliffs, and historic buildings. 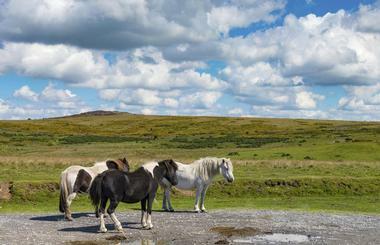 While it does get very cold in the winter, during the summer Devon plays host to a climate that is practically Mediterranean, and every year it attracts thousands of tourists to the region. The beaches of Devon offer kayaks, canoes, stand-up paddleboards, and plenty of opportunity for swimming and boating as well as for days spent relaxing with a book in the sunshine. Hikers will love the South West Coast Path, which follows the coast in Devon and leads to many stunning rock formations, fossilized cliffs, and views of the water. Ireland is commonly known as a very green country, but during the peak months of summer, it cranks the color up a few notches. 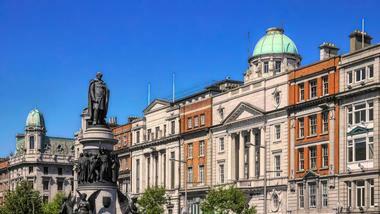 The city of Dublin has the best weather of the year during July, but visitors should also be prepared for the heaviest crowds. Nonetheless, Dublin in July presents great opportunities for seeing the Gaelic Games, including Gaelic football and hurling, at Croke Park, or exploring some of the incredible green spaces in the city, like St. Stephen’s Green and Iveagh Gardens. Live music on the streets, tours of the Guinness factory or the Bailey’s Irish Cream factory, and an evening spent on a pub crawl in Temple Bar round out the summer experience in Dublin. 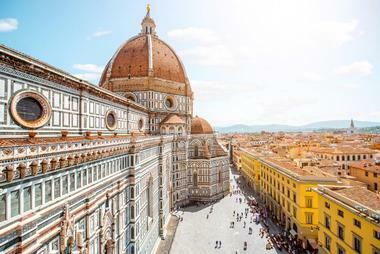 Florence is part of the Tuscan region of Italy, an area with warm weather and a lot of history. Visitors to Florence can beat some of the summer heat with a cold and refreshing gelato or by stepping into one of Florence’s many museums, including the Accademia Galleria, which houses Michelangelo's David sculpture. Shopping on the Ponte Vecchio bridge, trekking up to the Piazza Michelangelo for gorgeous views of the city and the river, or wandering the stunning rose gardens and parks along the medieval city walls are all wonderful ways to spend a day. For a quick day trip, visitors can take a bus up to Fiesole, a nearby town in the Tuscan hills that is home to a Roman amphitheater, an historic monastery, farmers’ markets, and some truly stunning views. 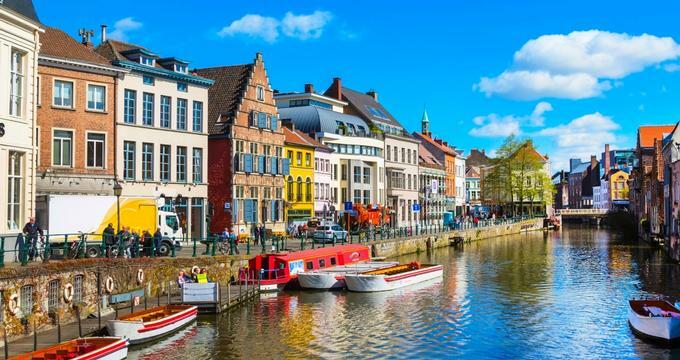 Ghent comes alive in the summer, and visitors traveling to Belgium in July will be able to experience diverse markets, green parks, and busy streets lined with beautiful historic buildings. There’s boating on the rivers and canals of the city, open-air swimming pools, and plenty of restaurant patios for a refreshing cocktail. 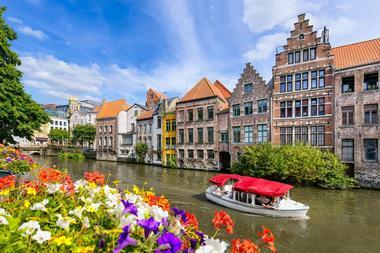 The month of July is also when Ghent typically hosts the Gentse Feesten, an annual 10-day festival with parades, markets, food specials, music, and more. Visitors will love the free attractions found throughout the city, as well as the exciting and buzzing energy that fills the very air during the festival. Jackson Hole, Wyoming, is a natural wonderland in the summer. 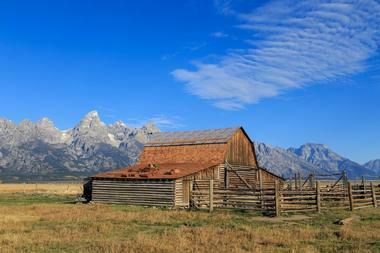 Visitors to Jackson Hole in July will find beautiful sunny weather for all their outdoor adventures. The valley of Jackson Hole serves as the perfect gateway to two of America’s most beautiful national parks: Yellowstone and Grand Tetons. The gorgeous mountains and rocks of the surrounding area makes hiking around Jackson Hole a beautiful and thrilling option for any summer day, and there are plenty of campsites in the area for evenings as well. Visitors to the area can also go horseback riding in an authentic Wild West setting, go whitewater rafting down Snake River Canyon, or go fly fishing. The twin cities, Minneapolis and St. Paul, offer a double whammy for entertainment options during the month of July. Each year, the Aquatennial Festival, a massive celebration known by locals as the Best Days of Summer, takes over Minneapolis with music, film festivals, fireworks, parades, and much more, all to celebrate the city of Minneapolis and its people. Visitors to Minneapolis will also enjoy the Minneapolis Sculpture Garden, which comes alive with plant life during the summer, and its many art museums. 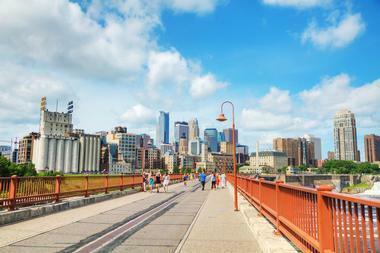 Minneapolis is a perfect city for biking, so visitors can rent a bike and ride along the river for some nice city views and maybe even a cool summer breeze to take the edge off the heat. The beach town of Nags Head, located on the Outer Banks of North Carolina, is a popular spot for a summer getaway. There are plenty of gorgeous houses on the beach and around town available for rent, so visitors traveling with large families or groups of friends will find no shortage of accommodation. Cape Hatteras National Seashore, Jennette’s Pier, and Jockey’s Ridge State all have beaches and seaside areas where visitors can enjoy the water, the land, and the sunshine. 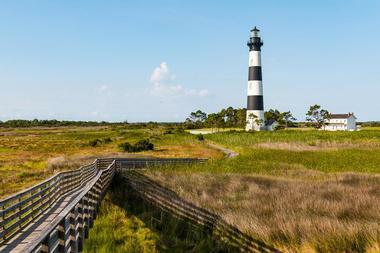 Nearby Roanoke Island has a beautifully historic lighthouse, and even more parks and beaches for visitors to explore. The city of Nairobi is located about 90 miles south of the Equator, so technically July is winter there, but because of its tropical location, it stays hot year round. 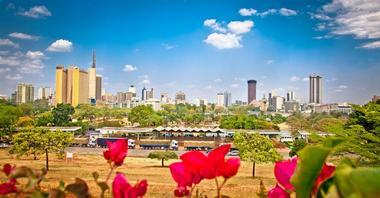 The capital city of Kenya, Nairobi is a modern urban center with great food and friendly people, but the real adventure lies just outside the city’s bounds. In Nairobi National Park, lucky explorers will find giraffes, rhinos, zebras, and even lions, and at the nearby David Sheldrick Elephant Orphanage, visitors can get up close and personal with some African elephants. Rock climbers will enjoy Hell’s Gate National Park, a large savannah with plenty of climbing opportunities. Visitors looking for even more adventure will find it in ample supply, as Nairobi is often used as a home base for visitors looking to explore other parts of Kenya or go on safari nearby. 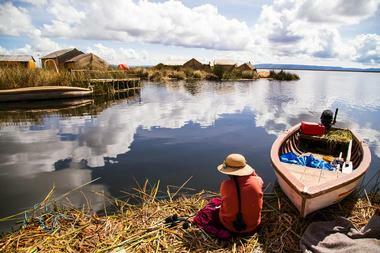 July is the height of winter in Peru, so although days are typically warm and summery, nights in Peru have the potential to drop to low, near freezing temperatures. But that’s no reason to discredit this beautiful country, which is home to some of the Amazon rainforest, the Andes Mountains, the South Pacific Coast, and the ancient Incan city of Macchu Picchu. History and nature combine in Peru, and visitors can explore the Inca Trail, which leads through the Sacred Valley near Machu Picchu and is home to a massive number of archeological sites. Visitors can explore the ancient Nazca Lines, take a guided tour of the Amazon Rainforest, and learn about traditional Peruvian culture. In central Croatia, a network of 16 beautiful terraced lakes, all linked by streams, rivers, and waterfalls, makes up Plitvice Lakes. The lakes are all on different levels, and the visual effect of them pouring into one another from their watery terraced steps is truly breathtaking. 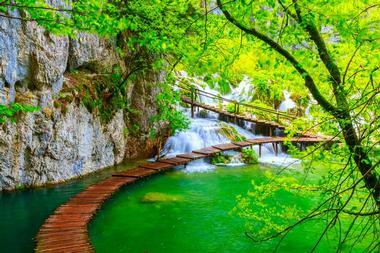 Visitors will enjoy hiking through Plitvice Lakes National Park, and sights like the Veliki Slap, a waterfall that is over 250 feet tall and connects the 12 upper lakes to the four lower ones, is picture-perfect. 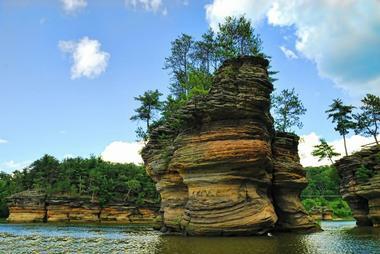 Tours, boat rides, and walkways are all available for visitors who would like to explore this natural wonder. The California redwood is a fascinating tree that can grow to be the height of a 35-story building with a width of over 20 feet at the base of the trunk. 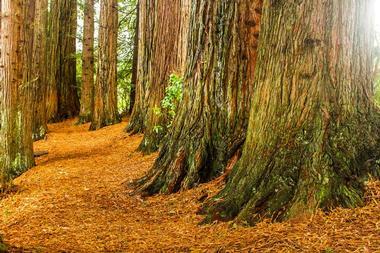 These endangered trees, which can grow to be over 2,000 years old, can be found in abundance in Redwoods National and State Parks in northern California. These parks consist of a series of protected forests and beaches in the coastal region, with massive old growth woods and plenty of wildlife to go around. Visitors can hike, drive, and camp among these gigantic trees, and maybe even spot the elk who live among the redwood forests. 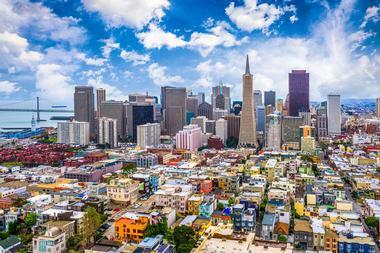 Northern California has pretty mild weather year round, so San Francisco is a great summer destination for those who are looking to escape the oppressive heat and humidity of their home regions. The Golden Gate Bridge, the Painted Ladies, and Alcatraz Prison are all iconic parts of this famous city, and visitors can hop in one of the famed cable cars of San Francisco to start their explorations. Fisherman’s Wharf, a seaside stretch of shops and restaurants, is a great place to wander, shop, and see the sea lions that bask in the sun on the pier, and along the way, visitors can stop at the nearby Boudin Bakery for some famous San Francisco sourdough. 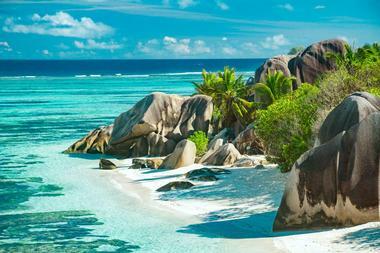 Located off the shores of eastern Africa, the Seychelles are a collection of 115 islands situated in the Indian Ocean. This tropical paradise makes a perfect destination for any time of the year, and visitors will love the beaches, rainforests, and nature reserves on the island, full of diverse wildlife like the giant Aldabra tortoise. Scuba diving or snorkeling the reefs just offshore will reveal colorful tropical fish, and exploring the nature reserves on land, including mountainous rainforests like Morne Seychellois National Park, is a great way to see some of the beautiful green nature of the islands. And, of course, there are the many beaches of the Seychelles, sandy and sunny and perfect for relaxation and fun. 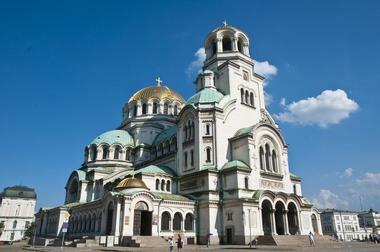 Sofia, the capital of Bulgaria, is a beautiful and historic city in the western region of the country. It’s a city that has been held by many empires throughout history, including the Greeks, the Romans, the Ottomans, and the Soviets, and the architecture, landmarks, and museums all reflect this long and storied heritage. Any lover of history will find more than enough to do in Sofia, from visiting the 4th century St. George’s Rotunda Church to the 2,000-year-old Roman ruins recently found beneath the city. Nearby Mount Vitosha offers opportunity for pleasant summer hiking and views of the city, and the delicious food and friendly people in Sofia will help take care of the rest. 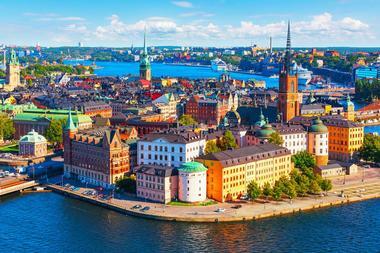 Stockholm is another one of those destinations that has a completely different feel during the summer than in the winter. Located way up north in Sweden, Stockholm is a great summer destination for making the most of your vacation, simply because the sun never really sets during the summer. These extended days mean more time for play and exploration, from cycling through the city to taking a boat tour or venturing out to one of the nearby islands. The Swedish capital contains 14 islands and is home to a lot of historical architecture, and visitors will revel in the friendly, relaxed atmosphere of this city for the entirety of their stay. This mountain town, best known for its world-class ski resorts, might seem like a better winter destination than a summer one, but Aspen, Colorado, is home to some truly fantastic summer attractions. 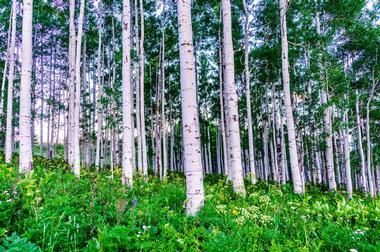 Families, friends, and solo travelers will all find something to do in Aspen, from hiking to music. The Rio Grande Trail is a great hiking option for beginners, and the nearby Maroon Bells offer a much more challenging – and much more rewarding – hike for more experienced hikers looking for some stunning mountain views. Guests not looking to exhaust themselves can take a gondola ride up the side of Aspen Mountain to find yoga classes, live music, and even a golf course. Sometimes, July gets so hot that it makes you yearn for winter, but in Wanaka, New Zealand, July is the height of winter, so visitors can get their wish. This town, famous for the Wanaka Tree, a picturesque willow tree that stands alone in Lake Wanaka, is a bustling resort town in the southern winter, located on the South Island of New Zealand in the mountains. Visitors will enjoy the spectacular skiing in Wanaka as well as the gorgeous mountain setting, which is also great for hiking, snowshoeing, cross-country skiing, and even ice climbing. 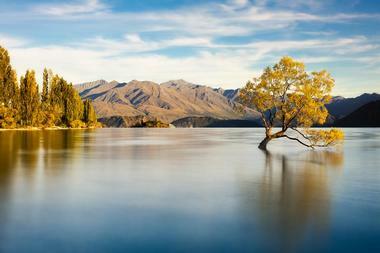 There are alpine lakes, snow-capped mountains, and even glaciers in Wanaka where visitors can have a nice picnic. Wisconsin Dells is a city located on the Wisconsin River, and it is well known for its number of water parks, making it a hit during the summer with families or groups of friends looking for a fun and exciting way to cool off from the summer heat. The Waterpark Capital of the World, as it’s known, is home to waterparks for guests of all ages, with waterslides, wave pools, hot tubs, aquatic playgrounds, and more. At Kalahari Waterpark, guests can try out an uphill water roller coaster, and at Noah’s Ark, visitors can enjoy the use of more than 80 attractions at the world’s largest waterpark. Yellowstone National Park is one of the most popular national parks in the United States and features deep canyons, winding rivers, steaming hot springs, and geysers, the most famous of which is Old Faithful. 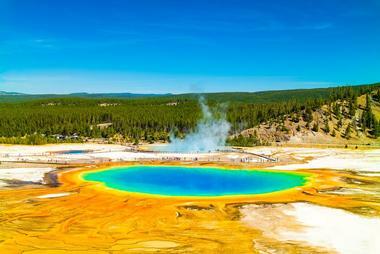 Yellowstone is located on top of a volcanic hotspot situated mostly in Wyoming, although parts of the park extend into the states of Idaho and Montana as well. Visitors to Yellowstone can drive along the scenic roads, go hiking or rock climbing on some of the stunning and world-renowned trails, or keep their eyes peeled to try and spot some of the bears, elk, bison, and wolves that live inside the park.